This course will cover both theoretical and practical activities designed to provide participants with the knowledge and skills to be able to recognise and control small emergencies on-site. The course includes the use of fire extinguishers. 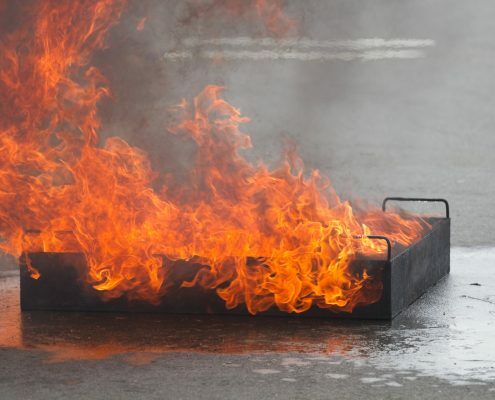 Use of a fire extinguisher can be either done in a “live fire” environment or we also offer an electronic ‘Bullex’ fire simulator which can be used indoors.